Court restrained the defendants from directly or indirectly using the lines “since Narendra Modi became the Prime Minister/following the election of Narendra Modi as Prime Minister” in relation to the subject-matter article. The ex-parte injunction order passed against the online news portal “The Wire” restraining it from publishing article pertaining to the company owned by Jay Amit Shah, son of BJP President Amit Shah, has been vacated by the 4th Addl. Senior Civil Judge, Ahmedabad (Rural),Mirzapur as per order dated 23.12.2017. On 8th of October 2017, “The Wire” published an article titled “The Golden Touch of Jai Amit Shah”, stating that the company “Temple Enterprises” under the ownership of Jay Amit Shah had witnessed dramatic increase in its turnover following the election of Narendra Modi as the Prime Minister in 2014. It was stated in the article that the company’s annual turnover had jumped from mere Rs.50,000/- to Rs.80,00,00,000/- in a single year. Following this, Jay Amit Shah filed suit claiming damages of Rs.100,00,00,000/- on the ground that the said article was defamatory and had tarnished his reputation, and sought for further direction for deletion of the article and also for restraining further publication or printing of the same. On the 12th of October, the Civil Judge passed ex-parte ad-interim order restraining “The Wire” from using, printing or publishing the subject-matter article. Challenging the ad-interim order, “The Wire” approached the High Court of Gujarat. However, the High Court declined to interfere and directed “The Wire” to file application before the Trial Court seeking vacation of the interim order. Accordingly, the Civil Judge Badri Kamalkumar Dasondi heard the matter on the basis of the counter-affidavit filed on behalf of “The Wire”. It was contended on behalf of Jay Amit Shah that the article was per se defamatory and that there was no public interest in publication of the article. It was also argued that the reply sent on behalf of the plaintiff to the questionnaire sent by “The Wire” before publication of the article was not taken into account in the article. On the other hand, “The Wire” contended that the article was based on public records obtained from the Registrar of Companies, and that they were only reporting true facts based on records available for public scrutiny. It was also argued that there was overwhelming public interest warranting publication of the article, and that the balance of convenience did not favor the plaintiff. It was also pointed out that the settled law was that no interim injunction against publication could not be passed in a suit for defamation. "The plaintiff in the suit has neither denied or questioned the facts contained in the reports obtained through the Registrar of Companies and has also not objected to the data that has been published in the said article. It is also not the case of the plaintiff that the data obtained is a misleading one or the same is misrepresented by the defendants thereby depicting a false picture of defendant’s company". The Judge also observed that it was no incumbent on the part of “The Wire” to take into account the reply sent by the lawyer of the plaintiff in the article. It was also noted that the plaintiff through the present suit had shown mere apprehension of loss of reputation and had not narrated any instances for the same. It was stated that the defendants were justified in publishing the article on the basis of facts collected from a public record. At the same time, the Court also stated that the defendants had not shown any material showing direct or indirect nexus of association of Prime Minister Narendra Modi as regards the increase in business of the company of plaintiff. Therefore, the Court restrained the defendants from directly or indirectly using the lines “since Narendra Modi became the Prime Minister/following the election of Narendra Modi as Prime Minister” in relation to the subject-matter article. Thus, the application for interim injunction was partly allowed to the above extent regarding reference to Prime Minister, and the restriction in the ex-parte order dated 12-10-2017 placing absolute restriction on publication of the article has been vacated. 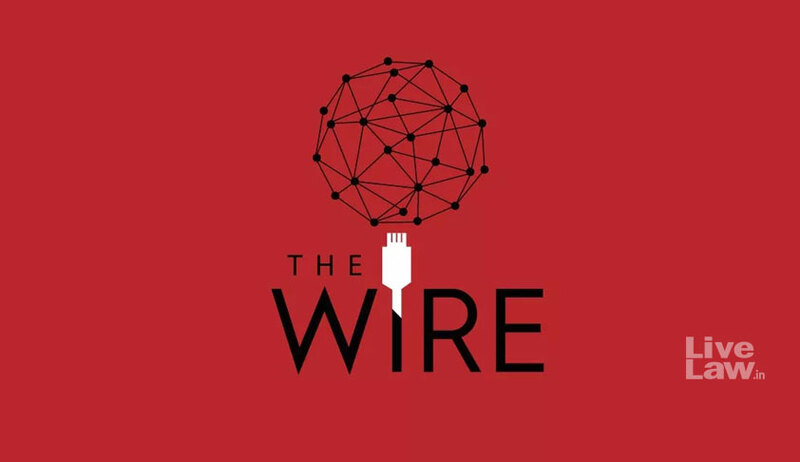 In effect, “The Wire” is free to publish and debate the said Article, subject to avoiding references to Prime Minister Narendra Modi.